IODE Nova Scotia promotes good citizenship by encouraging an active interest and involvement in community life. Members attend Citizenship Court to welcome new Canadians, provide thousands of volunteer hours which contributes su﻿﻿bstantially to the well being of our communities as well as the economy. Awards are presented to outstanding citizens in recognition of their valued service and contributions to their community. 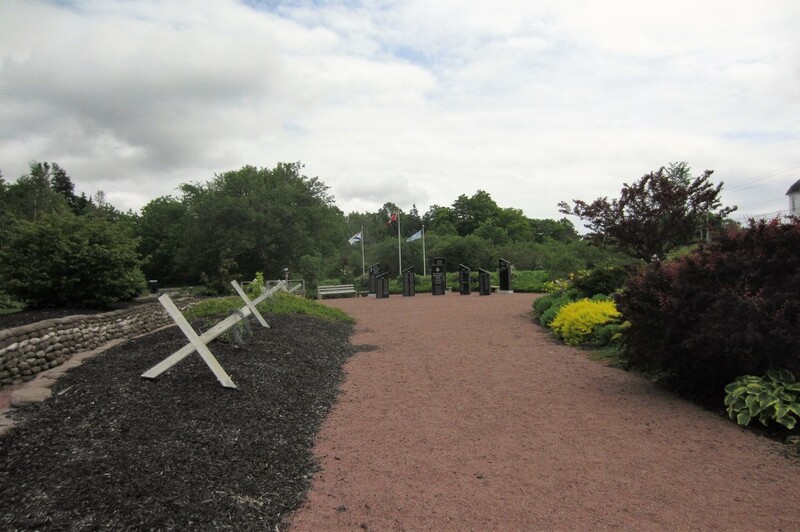 Participation in Remembrance Day Services and by laying wreaths at the Cenotaph are a few of the ways IODE members honor our veterans and pay tribute to our Canadian troops. 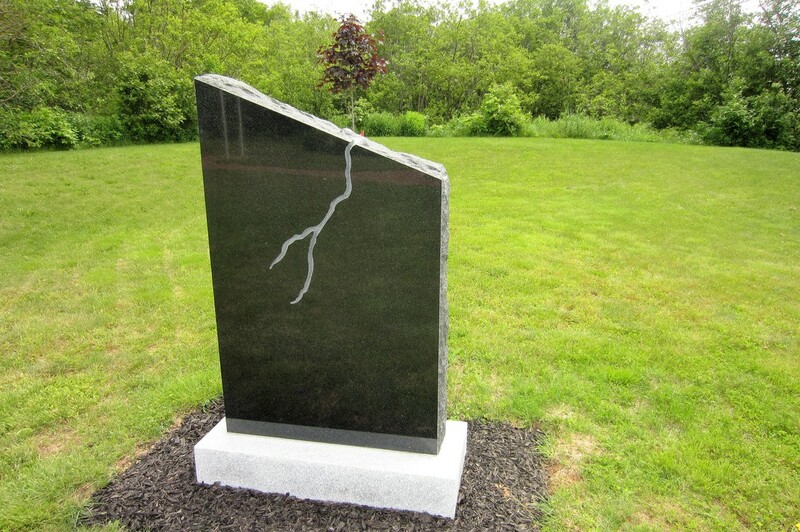 The Battle of Paardeberg was the first time men in Canadian uniform, fighting in a Canadian unit, made war overseas. 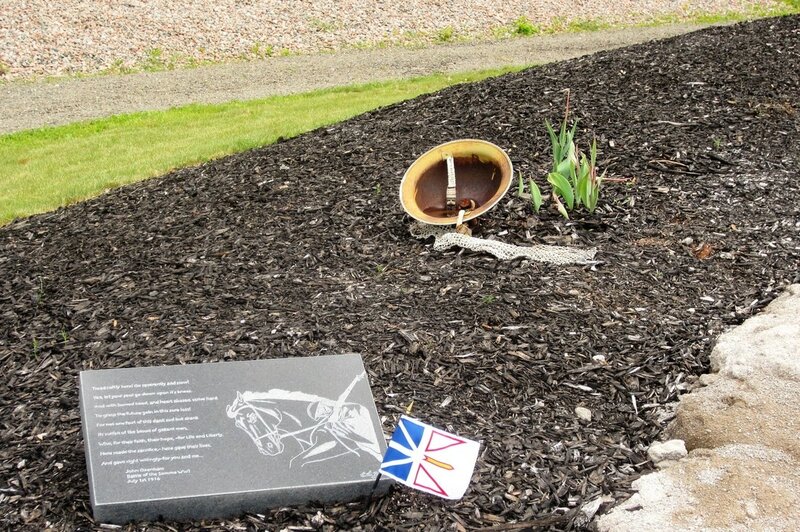 It also gave Canada its first remembrance day; form 1900 until the end of the First World War, Canadians gathered not on November 11th but on February 27th - Paardeberg Day - to commemorate the country's war dead and its achievements in South Africa. 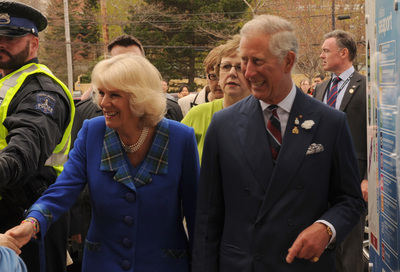 The Prince of Wales and Duchess of Cornwall began their 4 day visit to Canada on Sunday May 18th, landing at the Stanfield International Airport. 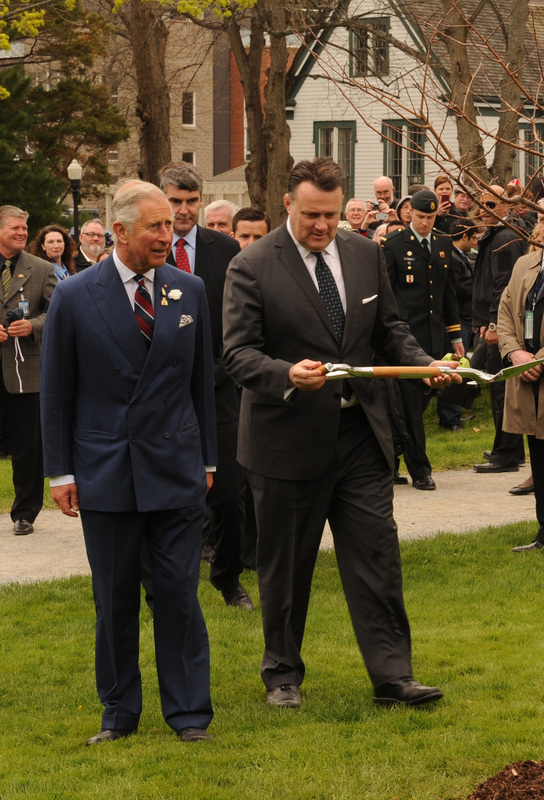 The Official Welcome to Canada was held at the Grand Parade in Halifax. Halifax, being a naval city where thousands of military personnel embarked on transatlantic journeys to serve during the Second World War, Prince Charles reflected on Canada’s contribution to the War. Canada’s military involvement was the central theme of the royal couple’s tour of Halifax. 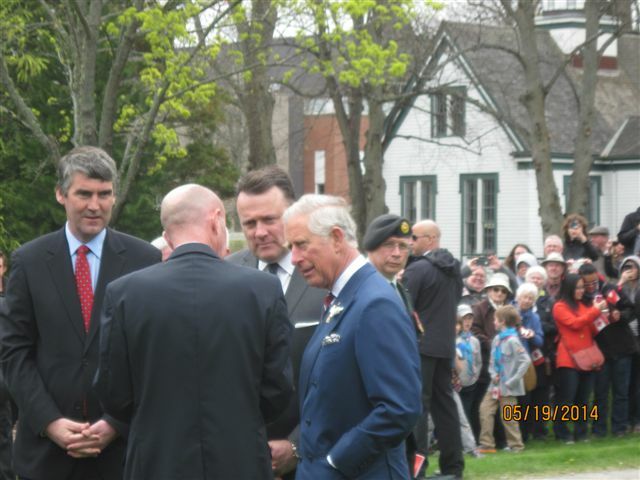 Charles commented on the number of soldiers, sailors and airmen from Canada who fought to liberate Europe, calling it “an extraordinary contribution” from a country with a small population. 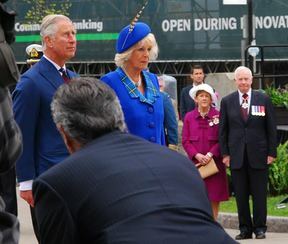 A light mist hung over Grand Parade as Charles and Camilla were officially welcomed to Canada by Governor General David Johnston, politicians and an aboriginal elder. 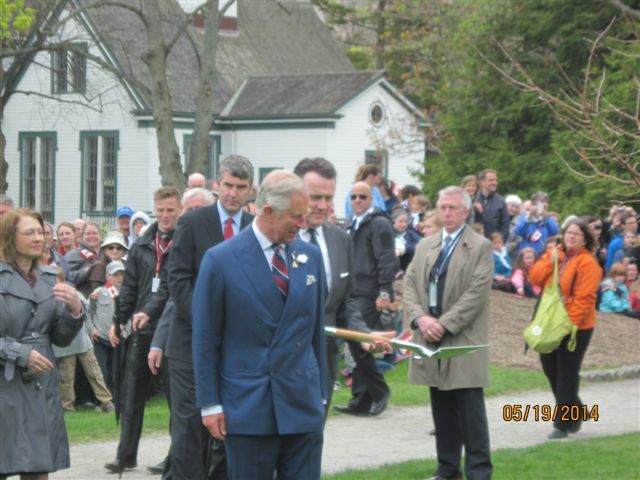 A 21-gun royal salute echoed through the city’s downtown as the prince inspected an honour guard. 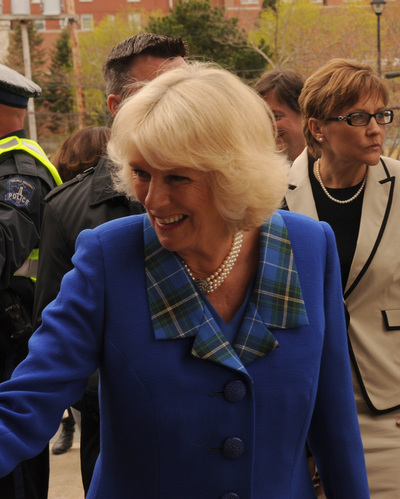 Canada’s wartime history was also featured as Charles and Camilla visited Halifax’s Pier 21, the home of Canada’s National Museum of Immigration, where they met war brides. About 48,000 young women married Canadian servicemen during the Second World War, most of them from Britain. Charles and Camilla met military families at the Military Family Resource Centre. The Centre provides support to military families with a number of programs while their loved ones are on deployment. 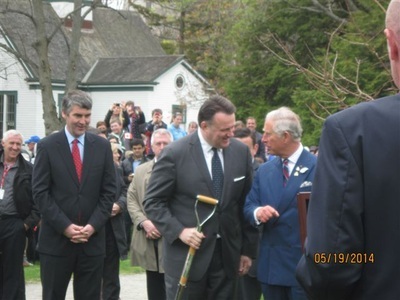 Charles also watched a ball hockey game outside the Centre. Charles toured the Halifax Seaport Farmers’ Market and met with vendors, local farmers and artisans at their kiosks. The Duchess of Cornwall visited the Northbrook Community Centre in Dartmouth meeting with representatives of Alice Housing, which provides shelter and counselling for women and children escaping domestic abuse. 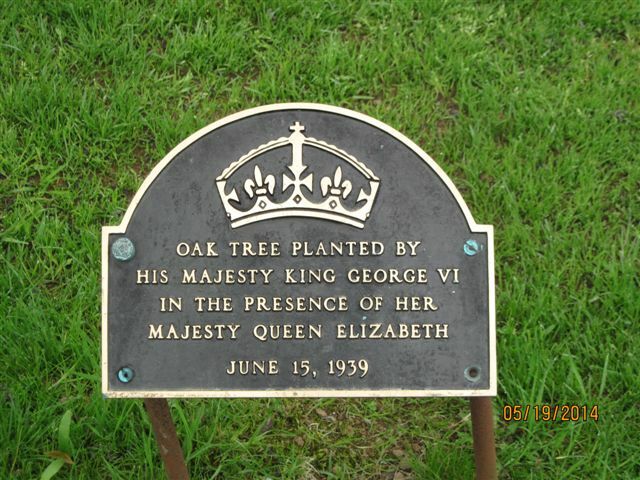 The Prince planted a tree at the city’s Public Gardens, continuing a tradition started by King George VI in June 1939. 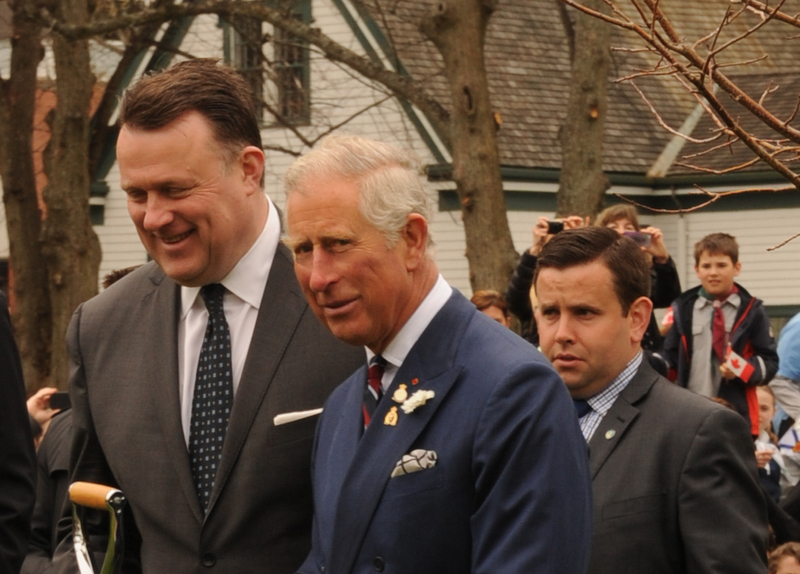 The visit by the Prince of Wales and the Duchess was meant to celebrate Canada’s past and future at a time when a number of significant anniversaries will be commemorated over the next few years, including the 100th anniversary of the start of the First World War. The royal couple ended their brief stay in Nova Scotia at a celebration of Pictou’s Celtic heritage at The Quay that houses a replica of the ship Hector, a three-mast cargo vessel that landed in the community in September 1773 carrying Scottish Highlanders. Its journey marked the start of a wave of immigration from Scotland. Canada’s newest citizens were ﻿﻿welcomed﻿﻿ at citizenship ceremonies held across Canada in March. Members of IODE were at the Pier 21 ceremony to welcome new Canadians to Nova Scotia. With standing room only, it was wonderful to see the Canadian Flag along with flags of other countries, the RCMP in their red serge and the smiling faces of so many people as they realized their dreams of becoming a Canadian citizen. 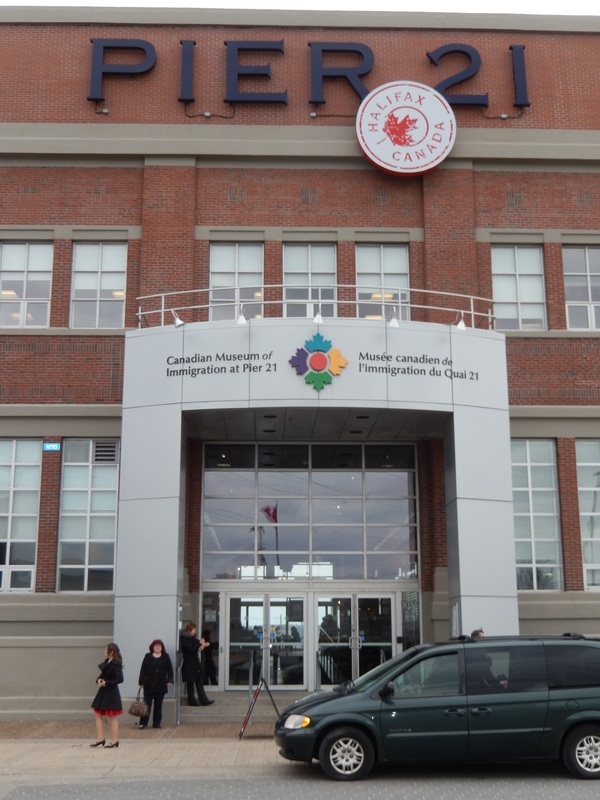 In two sessions at Pier 21 on March 21st, 405 immigrants joined our Canadian family. So far in 2014, Canada has welcomed 75, 900 new citizens from 199 countries at 759 ceremonies across Canada. 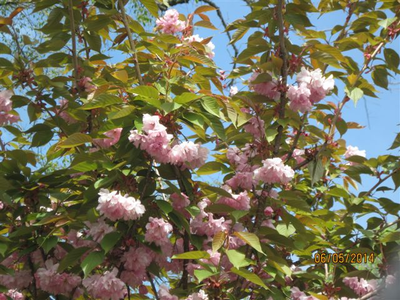 The friend of one new Canadian told us that she had won an IODE prize while attending school in Dartmouth. 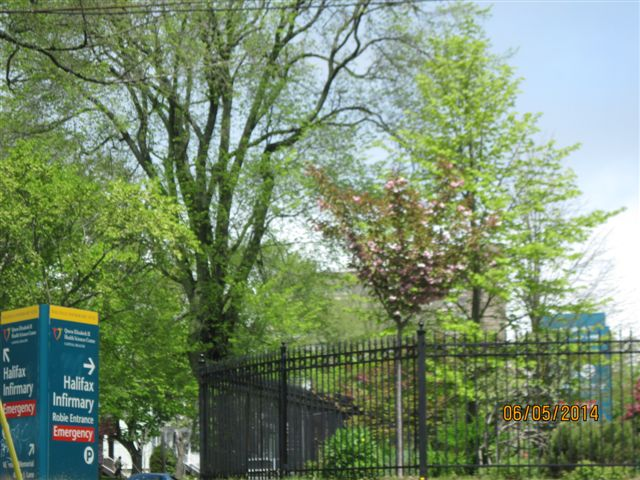 IODE has touched many people in so many ways over the years! 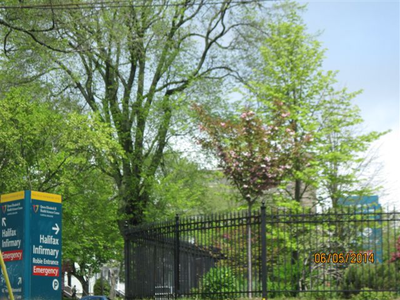 Pier 21 is the entry way to Eastern Canada for many new Canadians. 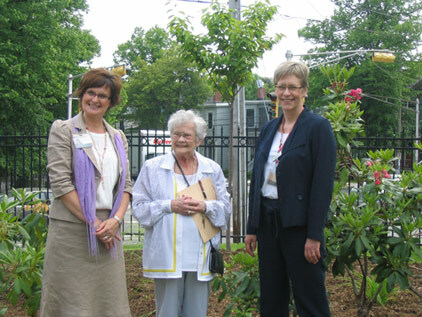 L to R: Katherine - QEII Foundation, Jackie - IODE NS, Elsie - Veterans Services, Camp Hill Hospital. ​IODE donates Flowering Cherry Tree to Camp Hill Garden. 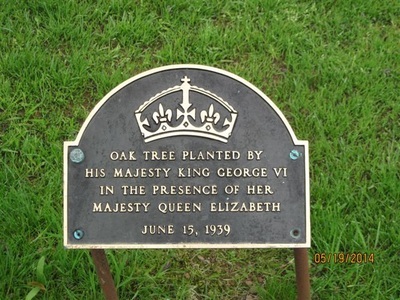 IODE Nova Scotia donated a flowering cherry tree to the Veteran’s Memorial Garden at Camp Hill Hospital to commemorate the Diamond Jubilee of her Majesty, Queen Elizabeth II. 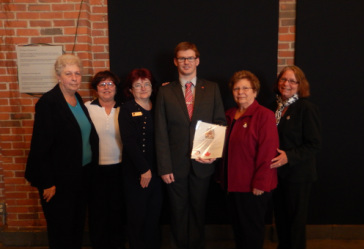 On behalf of the Women’s Charitable Organization, Jackie Guyette – President presented a Diamond Jubilee plaque to mark the occasion. 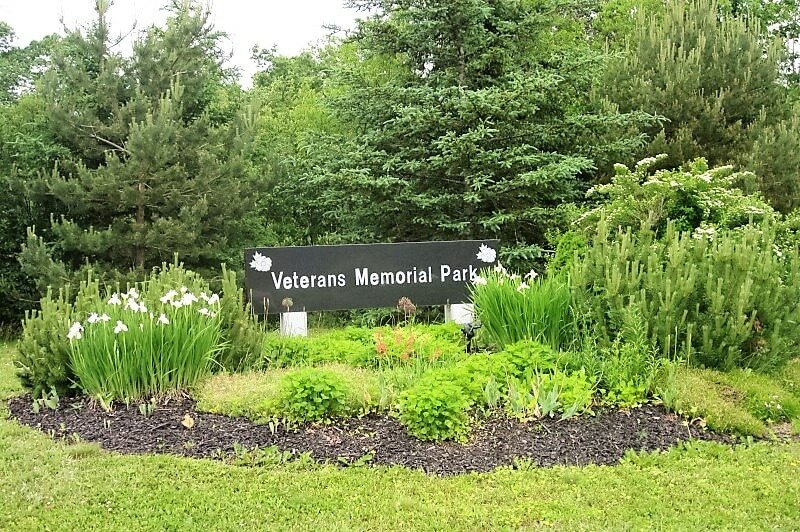 The Cobequid Veterans Memorial Park located in Bear River, NS was created as a memorial to those who served during WW1, WW11, Korea, Afghanistan, Merchant Marine, Peacekeepers and Supreme Sacrifice. 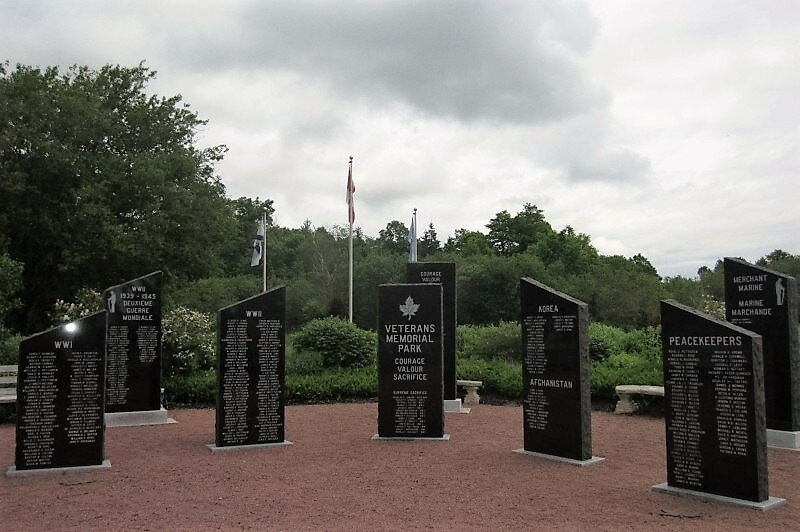 Its purpose is to remember, honour and celebrate all men and women who served or are serving in Canada's military, in conflicts past and present. Celebration services are held throughout the year most noteworthy being Remembrance Day, International Day of United Nations Peacekeepers held May 29th and a Holocaust Remembrance Service held each April. 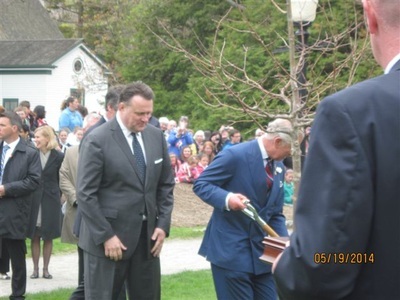 At the May 29th, 2015 service a memorial wreath was placed on behalf of IODE Nova Scotia. 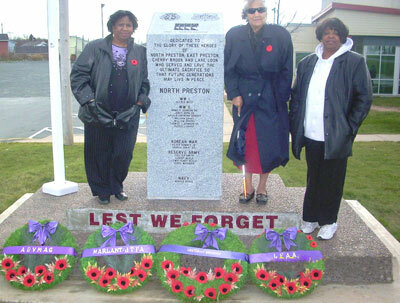 Three members from the IODE Annie V Johnson Chapter stand at the cenotaph in North Preston which was initiated and erected under the direction of their chapter members. 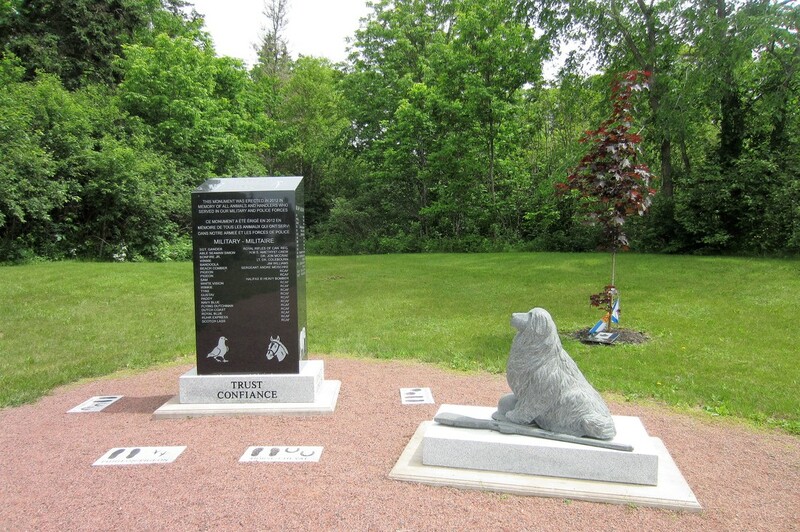 The cenotaph commemorates those from the community who served and sacrificed their lives for their country.